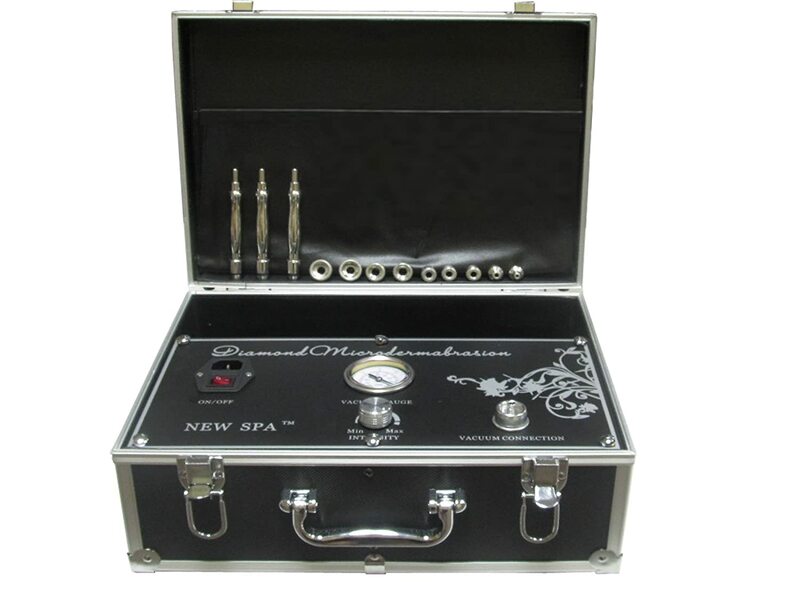 The Diamond Microdermabrasion Machine is a powerful tool for removing layers of dead skin cells that can contribute to a dull complexion and many other problems. If you want to look years younger but don’t want to spend the kind of money that is needed for professional spa treatments, this particular machine is certainly worth considering. Diamond dermabrasion removes the pigmented top layer of skin, revealing a softer and smoother layer underneath. Everyone wants their skin to look as healthy and smooth as possible, and with this machine you can make your dream a reality. This machine, priced at around $250 online (July 2015) , costs about the same amount as two professional treatments, so you will end up saving thousands of dollars over the years by purchasing it. While some people may have their doubts, this Diamond Microdermabrasion Machine NEW SPA. FDA Listed works almost as well as the kind that professional estheticians use. The overall design of this machine is extremely durable, so you will be able to count on it to last for many years to come. The suitcase design of this machine makes it very convenient to travel with as well. Another great thing about this microdermabrasion machine is that you can set the suction to the level you want, between min and max. One of the chief complaints that many people who buy these kinds of machines have is that their suction is too powerful and there aren’t multiple settings, but that isn’t the case with this machine. Many people have claimed to see very noticeable differences in their skin after using this machine, so it definitely has a reputation for being effective. It is important to keep in mind that not everyone will see the exact same results when using this machine. There are a number of factors that will ultimately determine how well this machine works for you, including the type of skin imperfections you have as well as their severity. One of the few drawbacks to buying this machine is that it has a silicone hose that is a bit fragile, but that is a relatively small flaw when you consider how many positive things there are about it. • Comes with 3 wands, 9 tips, 12 and 18mm filters, wand and vacumm port “O” rings. • Flexible suction setting that allows you to choose how powerful you want the suction to be. • Up to 25inHg vacuum suction for powerful microdermabrasion treatments. The Diamond Microdermabrasion Machine is truly one of the best investments you can make if you want to really take care of your skin and keep it looking and feeling great while saving money on a regular basis. If you are tired of having to pay over a hundred dollars per treatment at a spa, this machine can save you thousands of dollars while providing you with the same results that you would get from a professional. While this machine has some small flaws, it is still a great overall product for skin rejuvenation.